Romania, though not as popular tourist destination as its neighbor Bulgaria, is attracting a large number of foreign investors. Real estate in Romania is increasingly in demand among foreigners, because the prices here are low and opportunities for long-term investments are many. Romania's economy is developing steadily, inclusive the real estate sector. And thanks to the active new construction, which is in all major cities of the country, the potential buyers and real estate investors are offered a variety of objects in a wide price range. The greatest demand among buyers of property in Romania is observed in the capital market. Of course, as in any capital city, prospects for business development are very much. In addition, as a rule, the highest standard of living is also observed in the capital. Besides the real estate market in Bucharest, foreign buyers are also turning their attention to the sea and mountain properties. As you know, having your own holiday home is very profitable for those who prefer to spend their holidays in a given country, in particular in Romania. Romania - not just the cheapest country in the European Union on house prices, but also the most accessible country for the cost of maintaining the property. Therefore, the local market is very attractive for the investors. Thus, having a condo in the capital or apartment in the mountains, the owner can let the property on a long-term and short-term lease. 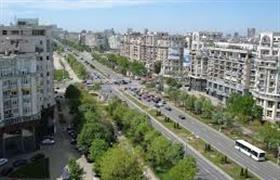 Housing in the capital is in constant demand as the population of Bucharest is growing. The property in the mountains or on the sea is very popular among tourists who do not wish to overpay for hotels. Foreign buyers in Romania may execute transactions both as individuals and as legal entities. In Romania non-residents can purchase real estate from the owner and by the builder at any stage of construction. But for the purchase of land, for example, for new construction, the foreigner will have to register his own company in Romania - the sale of land to private individuals who are not citizens of the country is prohibited.